The first camping tip and technique is to always bring a tent and it should always be the number one gear item on your camping checklist. Whether you are festival camping or car camping or camping for beginners, you need a protected place to sleep. Freestanding tents are the holy grail for campers and backpackers alike. Freestanding tents are a type of tent that can be set up quickly in any location from rocky peaks to sandy beaches. A true freestanding tent does not need to be staked down and will be heavier in weight to keep them secure to the ground. Often, weight is added through longer and heavier tent poles. The sacrifice of carrying a few extra pounds is worth it because freestanding tents make camping easier. As long as you have a flat surface area, you can set up a freestanding tent. A guide to freestanding tents can give you all the specifics, but our list of the 10 Best Freestanding Tents in 2018 can help you get situated with convenience and ease to learning the basics of a freestanding tent. 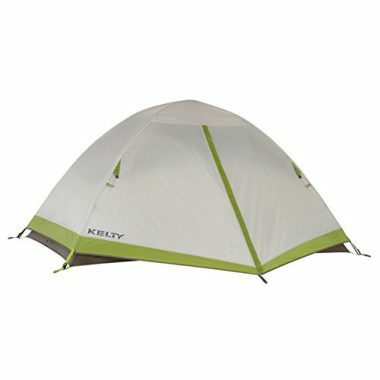 The Salida Camping Tent by Kelty is a backpack-friendly freestanding tent. This lightweight freestanding tent is made of polyester and features No-See-Um mesh. 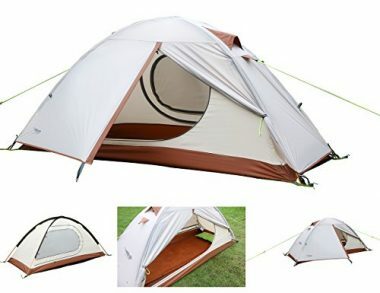 This tent is a 3-season tent that fits 2 people. There is a D shaped door, internal storage pockets, and fully taped seams. The tent has one vestibule for extra gear storage. For added protection, there is the option of adding a rainfly. With Kelty’s design, you will experience comfort with the spacious interior. The Yosemite Backpacking Tent by Hyke and Byke is a lightweight and durable freestanding tent that has an ultralight set-up. This tent has aluminum alloy stakes and guylines for support. The tent poles have a clip attachment. The tent can be used in 3 seasons and snuggly fits two people. 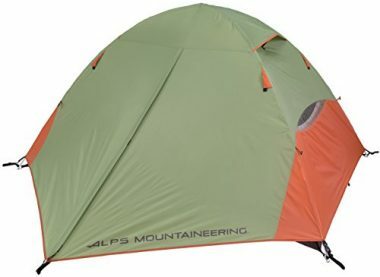 This top rated freestanding backpacking tent is waterproof and has a two door vestibule. The tent packs small for easy carry. Hyke and Byke also includes their Lifetime Warranty to ensure that your tent is always guaranteed. This lightweight freestanding tent features a no assembly frustration guarantee. You can easily set-up this tent solo. The tent uses two aluminum poles to support the structure. This freestanding tent has a double wall design that is made of polyester and mesh. The seams are factory sealed to ensure water stays out. The floor is waterproof too. There is a vestibule in the rainfly for the door, so you have space to store your gear. The tent also has storage pockets, a gear loft, and guy ropes. The poles are made of aluminum, making them lightweight but durable. With ALPS Mountaineering, you can confidently explore the outdoors solo. The Outdoor Backpacking Tent by Featherstone is an ultralight freestanding backpacking tent that is durable and breathable. The tent is made of tear-resistant fabrics that are waterproof. There is micro-mesh fabric to ensure the tent has good breathability. The tent will fit two people and has two doors and two tent vestibules. The seams are taped to prevent rain and the bathtub floor design prevents flooding. 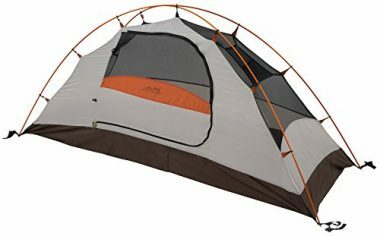 This tent features aluminum poles and an easy set-up. This top rated freestanding backpacking tent is suitable for 3 seasons and comes with a Limited Lifetime Warranty. This 4 Season Backpacking Tent by Naturehike is make of anti-scratch nylon that is silicone coated for better water resistance. This tent also has a UV 50+ sun protection. This freestanding tent is lightweight, but durable enough to hold up against heavy wind, rain, and snow. The tent is easy to set-up and packs down to an ultra-compact size, so you can easily add it to your backpack. 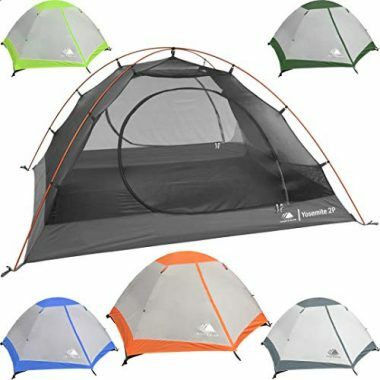 The tent is suitable for use in all the seasons and is a great any time and any place tent. Naturehike also includes their 100% Money Back Guarantee. This Waterproof Pop Up Tent by Bravindew features a unique dome shape that features an easy set-up. 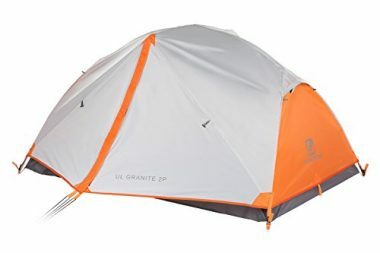 To set-up this tent, all you have to do is take it out of the packaging and allow it to pop up, which it does automatically. The tent has mesh windows for cross ventilation. There are storage pockets and loops to hang your keys or lantern. This lightweight freestanding tent delivers on space and can fit up to 6 people. This ultralight freestanding tent features a no assembly frustration and can be set-up in no time. 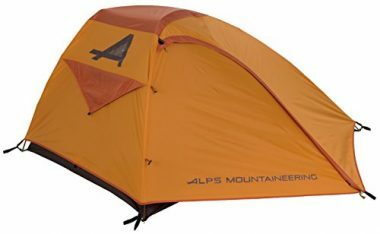 The Zephyr 2-Person Tent by ALPS Mountaineering features an aluminum two-pole design and is made of water-resistant polyester. This tent resists UV damage and has two door vestibules for extra storage. There is great ventilation with two doors and an entire mesh wall. The design also delivers ample head space, so you won’t feel cramped once you’re inside. 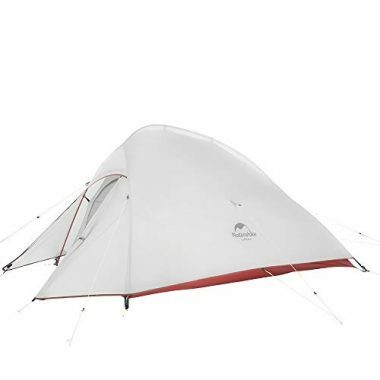 The Taurus 2-Person Tent by ALPS Mountaineering is a top rated freestanding backpacking tent that has fiberglass poles and a polyester fly that resists water and UV damage. There are two vestibules for extra storage. This freestanding tent has great ventilation with a mesh roof design and two windows. It will comfortable sleep two people, so you can adventure with a buddy. 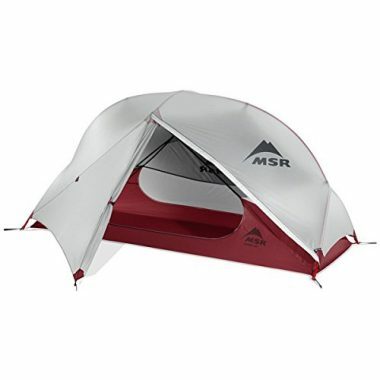 The Hubba 1-Person Tent by MSR is a freestanding ultralight tent that is made of ripstop nylon and nylon mesh. 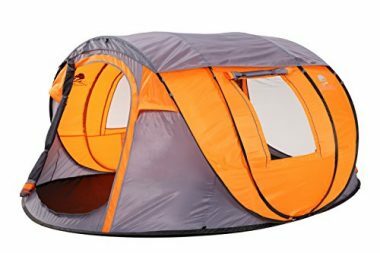 This tent delivers ample head and elbow room with a large side entry and added vestibule. The vestibule is a great space to store extra gear and features a StayDry door. The StayDry door has a built-in rain gutter to keep the water from collecting on the tent. The tent is ultra-compact and can be easily carried in its compression stuff sack. The 1-Person Freestanding Tent by Luxe Tempo is a SilNylon tent that is excellent at water and UV resistance. The tent is great for use in all seasons and can withstand wind, rain, and snow. This freestanding tent has a backpacking friendly design that comes with a double layer door and two vestibules for storage space. The panels are reinforced and the nylon features anti-abrasion. With Luxe Tempo, you will feel at home in the wilderness. 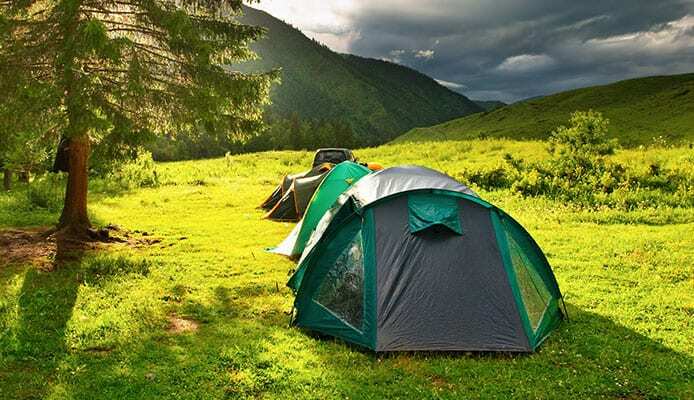 There are many different types of camping tents. From glamping tents to canvas tents, teepee tents and trunk tents. One of the easiest tents to use is a freestyle tent. When it comes to choosing the best freestanding tent there are many different designs and features for you to choose from. Sleeping tips for campers will have you using the safety of a tent. Whether you are camping with kids or camping with a baby, a freestanding tent is the best way to easily set up a campsite and set up a tent. If you know how to repair a tent, how to store a tent, and have a guide for cleaning your tent, the best freestanding tent will serve its purpose and last you throughout years to come. Ventilation is an important part of a tent because it can keep you from overheating in the warmer months and help keep you dry in the winter months. Stuffy tents are the worst to sleep in, so being able to catch a summer breeze can help you rest easy. In winter, condensation is the enemy. Your body heat against the colder outside temperatures can lead to water on the inside of your tent. By having good ventilation, you will stay dry and your tent won’t have the chance to create condensation. Most freestanding tents will have longer and heavier poles for stability. Normally, there will be two or three poles that cross and are anchored on the inside or outside of the tent’s walls. Tent poles that are secured using a sleeve are stronger than those that clip on using plastic or Velcro. The best tent poles will be wind resistant and have the ability to hold the weight of snow. In general, freestanding tents tend to be smaller because they are trying to save space and weight. Generally, you might see 4 person tents in a freestanding design. Often larger 10 person tents will need more support for the structure and aren’t likely to be freestanding. You should be realistic about your needs in terms of interior space, especially if you are camping in a pair. You might have to accept being a little crammed with your adventuring partner. The bottom line is you will have at least one door. However, some tent designs have two doors. A two-door tent can be a welcome relief when you are sharing the space with another person. It’s easier for each person to come and go on their own side. As well, dome tents may have a vestibule in their door design which can give you more gear storage space. There are many different materials to choose from. Waterproof tents are important to staying dry and a freestanding tent is no exception. The importance is that your material is strong, durable, and water resistant. Common tent materials include ripstop polyester, polyurethane, or silicone coated nylon. If you are wanting to explore in the wintertime, it is best to choose a slightly thicker material for added protection. You can also learn how to waterproof a tent, if you need more protection to stay dry. The best freestanding tent design is the dome shape because it is durable against weather and provides as much space as possible. Dome shaped tents are extremely popular choices with campers. However, there is also a wedge shape. The wedge, like a dome shape, is resistant to weather. A wedge shape may not give as much overhead space as a dome shape would. Depending on the freestanding tent design, you may need to know what is tent footprint and know how to use it. Some freestanding tents will have a built-in floor and other will require a separate footprint to keep you dry. Q: What is a freestanding tent? A: A freestanding tent is a tent that uses only tent poles to support its structure. Freestanding tents do not need to be supported by tent stakes or ropes. However, you can tie down the tent for extra support if needed, but it should not be necessary to secure them to the ground. 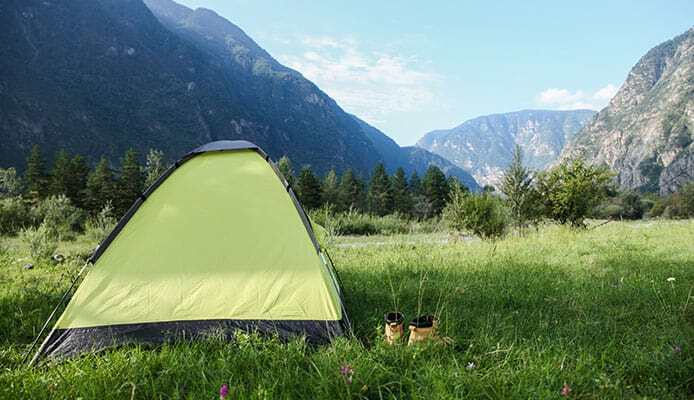 Freestanding tents are convenient because they only need a flat surface to be pitched and you can easily move a constructed tent around the campsite, if needed. Freestanding tents may have multiple designs that can be used for various types of camping. 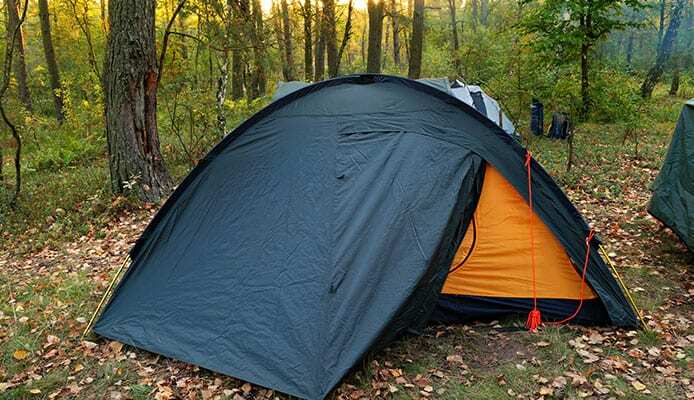 Freestanding tents can act like summer tents for hot weather camping and be used for winter camping too, so you’ll be prepared for a winter camping trip. Q: What are the benefits of using a freestanding tent? A: Freestanding tents make camping easier because you can pitch a temporary shelter anywhere there is a flat surface. There is less fuss and gear to bring because it doesn’t not need to be staked to the ground. You’ll save space and weight by not having to carry a set of stakes. Overall, freestanding tents are a convenient, fast, and quick temporary shelter that can be set up in a variety of locations. The best freestanding tents will make your adventure in the wilderness easier. Even if you are attempting to pitch a dry campsite in the rain, no matter the style of freestanding tents, you should feel confident that you have a portable and easy temporary shelter. The freedom to set up your tent in almost any location is a major stress reliever. If you know exactly what you want or need, you can save time and money by investing in a top rated freestanding tent. Do you own one of the freestanding tents that made it onto our list? Let us know how it has worked for your outdoor needs in the comments section below.